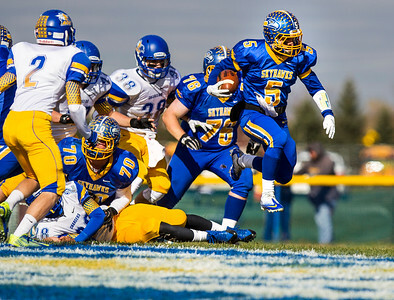 Kyle Grillot - kgrillot@shawmedia.com Johnsburg's Alex Peete is tackled out of bound by Aurora Central Catholic's Brandon Babler during the third quarter of the Class 4A first round playoff football game Saturday in Johnsburg. 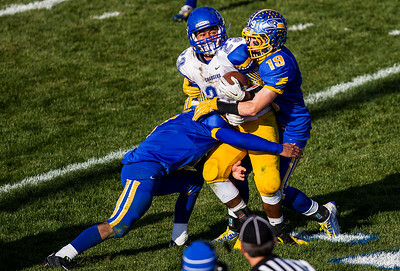 Johnsburg beat Aurora Central Catholic, 42-39. 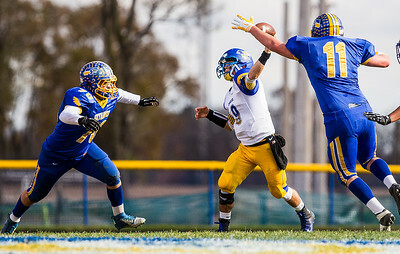 Kyle Grillot - kgrillot@shawmedia.com Johnsburg's Joe Moore (left) and Eric Wagner (right) go to block the pass of Aurora Central Catholic's Matt Rahn during the first quarter of the Class 4A first round playoff football game Saturday in Johnsburg. Johnsburg beat Aurora Central Catholic, 42-39. 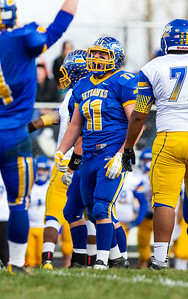 Kyle Grillot - kgrillot@shawmedia.com Johnsburg's Eric Wagner celebrates a turnover on downs during the first quarter of the Class 4A first round playoff football game Saturday in Johnsburg. Johnsburg beat Aurora Central Catholic, 42-39. 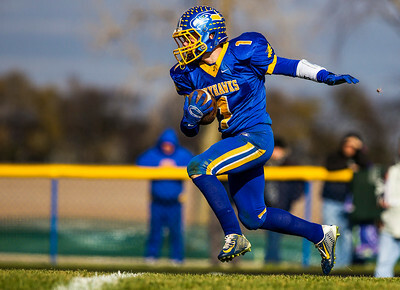 Kyle Grillot - kgrillot@shawmedia.com Johnsburg's Johnn Conroy runs the ball after his interception during the first quarter of the Class 4A first round playoff football game Saturday in Johnsburg. 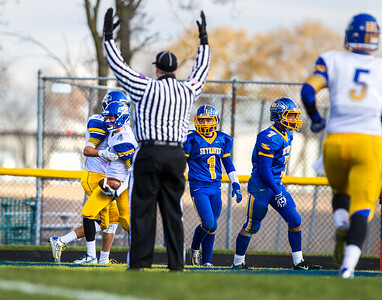 Johnsburg beat Aurora Central Catholic, 42-39. 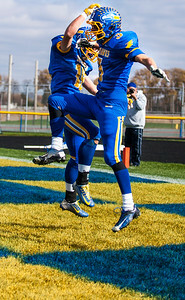 Kyle Grillot - kgrillot@shawmedia.com Johnsburg's Dan Tylkowski (right) celebrates with Austin Koontz after his touchdown catch on the last play of the first quarter of the Class 4A first round playoff football game Saturday in Johnsburg. Johnsburg beat Aurora Central Catholic, 42-39. 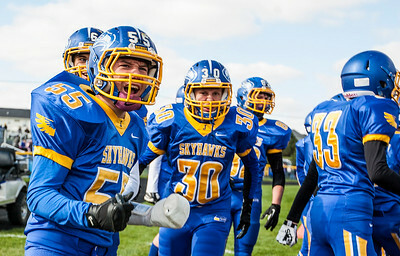 Kyle Grillot - kgrillot@shawmedia.com Johnsburg's Brandon Perez celebrates after John Conroy's interception during the first quarter of the Class 4A first round playoff football game Saturday in Johnsburg. Johnsburg beat Aurora Central Catholic, 42-39. 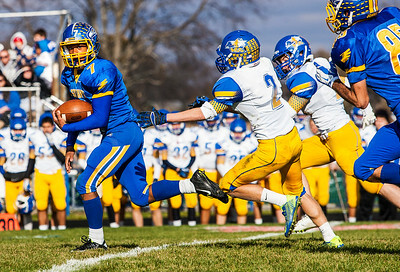 Kyle Grillot - kgrillot@shawmedia.com Johnsburg's Alex Peete is tackled out of bounds by Aurora Central Catholic's Brandon Babler during the second quarter of the Class 4A first round playoff football game Saturday in Johnsburg. Johnsburg beat Aurora Central Catholic, 42-39. 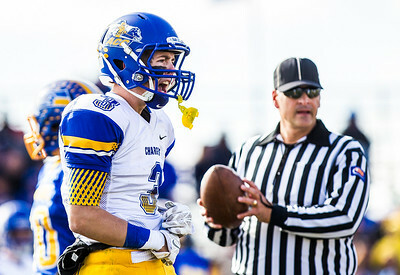 Kyle Grillot - kgrillot@shawmedia.com Aurora Central Catholic's Colin Baillie celebrates a first down during the second quarter of the Class 4A first round playoff football game Saturday in Johnsburg. Johnsburg beat Aurora Central Catholic, 42-39. 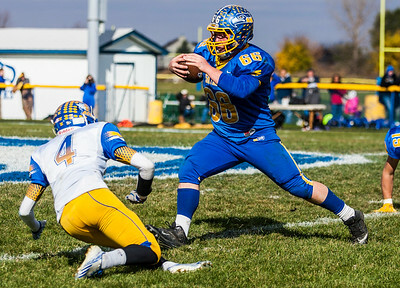 Kyle Grillot - kgrillot@shawmedia.com Johnsburg's Blake Lemcke returns the ball during the second quarter of the Class 4A first round playoff football game Saturday in Johnsburg. Johnsburg beat Aurora Central Catholic, 42-39. 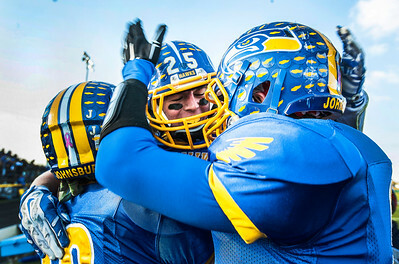 Kyle Grillot - kgrillot@shawmedia.com Johnsburg's Nick Brengman (right) stiff arms Aurora Central Catholic's Matt Rahn during a run in the third quarter of the Class 4A first round playoff football game Saturday in Johnsburg. Johnsburg beat Aurora Central Catholic, 42-39. 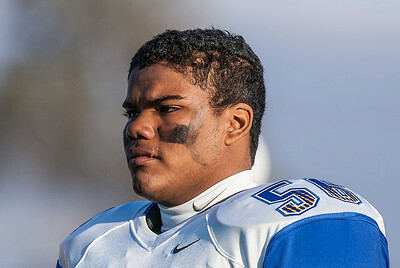 Kyle Grillot - kgrillot@shawmedia.com Johnsburg's Anthony Vallone reacts after injuring his leg during the second quarter of the Class 4A first round playoff football game Saturday in Johnsburg. Johnsburg beat Aurora Central Catholic, 42-39. 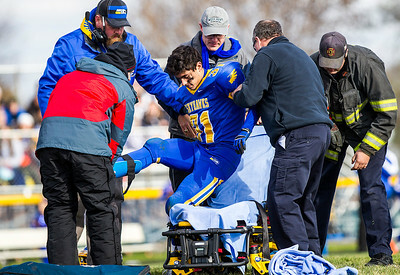 Kyle Grillot - kgrillot@shawmedia.com Johnsburg's Anthony Vallone is helped onto a stretcher after injuring his leg during the second quarter of the Class 4A first round playoff football game Saturday in Johnsburg. Johnsburg beat Aurora Central Catholic, 42-39. 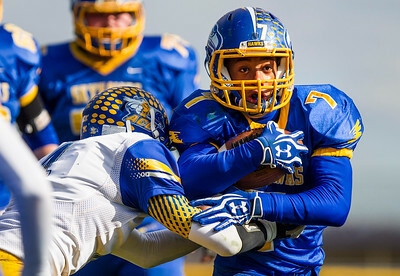 Kyle Grillot - kgrillot@shawmedia.com Johnsburg's Alex Peete breaks away for a touchdown during the third quarter of the Class 4A first round playoff football game Saturday in Johnsburg. Johnsburg beat Aurora Central Catholic, 42-39. 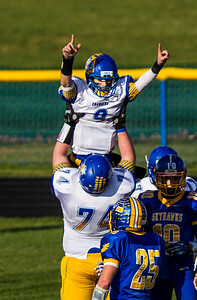 Kyle Grillot - kgrillot@shawmedia.com Aurora Central Catholic's Matt Rahn is hoisted into the air by Mikey Malawski after scoring a touchdown during the fourth quarter of the Class 4A first round playoff football game Saturday in Johnsburg. Johnsburg beat Aurora Central Catholic, 42-39. 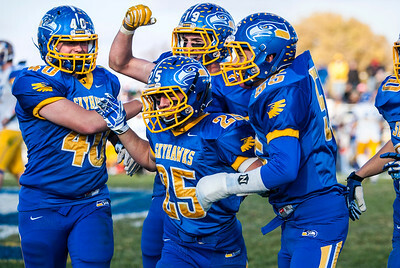 Kyle Grillot - kgrillot@shawmedia.com Johnsburg players surround Brandon Peshek (center) after his interception late in the fourth quarter of the Class 4A first round playoff football game Saturday in Johnsburg. Johnsburg beat Aurora Central Catholic, 42-39. 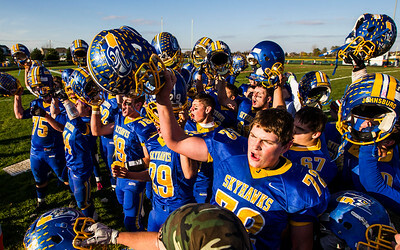 Kyle Grillot - kgrillot@shawmedia.com Johnsburg players sing their fight song after beating Aurora Cenral Catholic in the Class 4A first round playoff football game Saturday in Johnsburg. Johnsburg beat Aurora Central Catholic, 42-39. 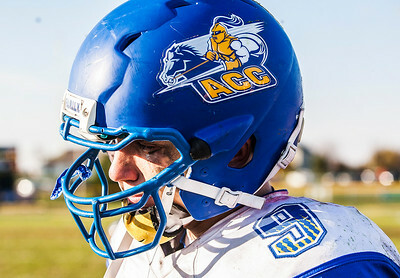 Kyle Grillot - kgrillot@shawmedia.com Aurora Central Catholic's Matt Rahn exits the field after the Class 4A first round playoff football game Saturday in Johnsburg. Johnsburg beat Aurora Central Catholic, 42-39. 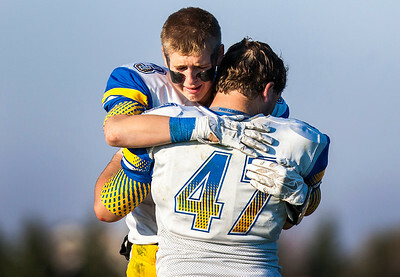 Kyle Grillot - kgrillot@shawmedia.com Aurora Central Catholic's Colin Baillie and Ben Ariano embrace after losing to Johnsburg in the Class 4A first round playoff football game Saturday in Johnsburg. Johnsburg beat Aurora Central Catholic, 42-39. 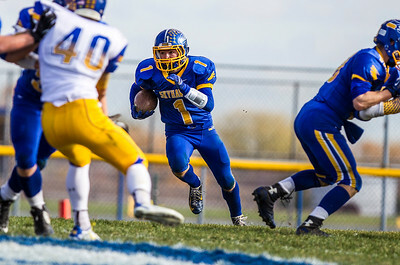 Johnsburg's Blake Lemcke returns the ball during the second quarter of the Class 4A first round playoff football game Saturday in Johnsburg. Johnsburg beat Aurora Central Catholic, 42-39.